Opening a Bank Account: Is It Really Necessary? Do you have a savings account? If yes, then that’s good news. At this point, what you need to do is to keep it updated and work harder to grow your money. Otherwise, you are part of the 86 percent of Filipinos with no bank account and you’re off to a bad start. Reason No. 1: You can earn money by saving. It may not be that big compared to other investment products, but having a savings account allows you to earn and grow your money. There are also bank accounts that offers additional interest if there is no withdrawal for the month. It may be P50 every month, but can you find someone who can give that to you – and more? More so, you can’t get that when you leave your money in your piggy bank or hidden under your clothes. Reason No. 2: Encourages you to save more. Being an OFW is not forever. Your employment contract will end after two or three years and soon enough, you’ll find yourself going back home with no assurance of employment. This is why it is important to have a savings account. You are not only able to earn money through interest but also encourages you to save more since the higher the amount, the bigger the interest will yield. More importantly, your money is “hidden,” thereby lessening the temptation of spending it. That’s not all. Every time you see the amount growing, this will surely keep you motivated to save more. Reason No. 3: Electronic fund transfer or sending money to your family is easier. BPI, BDO, and Metrobank – these are some of the banks that offer remittance facilities to OFWs. The good thing about this is that coursing your money through banks is safe and you are more assured that your hard-earned money will reach your family back home. You also don’t have to line up in remittance centers since you can do the transfer online. Apparently, this facility is only applicable if you have an existing savings account with them. Reason No. 4: Easy access to cash. Whether you opened a savings account with ATM card or passbook, cash is still easily accessible for you. Lining up may take some time, but at least you know that whatever happens, cash will always be available because your were able to save up. Reason No. 5: You can easily avail of online services. Don’t just limit yourself with online banking where you can check your balance and send money. Now that many businesses are adopting the online trend, access to various services is easier for you. Using your account, you can pay for your family’s utilities expenses and even use online shopping facilities. Just make sure to stick on your budget. 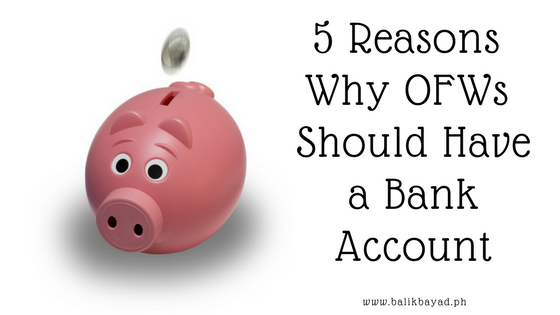 Check out this post to learn more about banks that offer savings account facilities for OFWs. According to the Bangko Sentral ng Pilipinas, a co-maker is a person who, by virtue of a contract, promises to pay the principal borrower’s loan in case the he or she failed to do so. A co-maker does not receive the proceeds of the loan, but he or she is equally responsible for payment in case of default. Here’s the thing: it’s not easy finding a co-maker, let alone making him or her say yes to be one. There is a risk involved and surely, the people you are eyeing for will not want to be part of any form of loan that they weren’t able to enjoy. On the other hand, there are lenders who require a co-maker, especially when you don’t have an impressive credit standing or you are applying for a non-collateral OFW loan. 1) Choose your co-maker wisely. You can’t just pull someone to be a co-maker. This is why ideally, a co-maker must be your spouse, an immediate family member, or a trusted friend you had for years. Before you ask someone to be your co-maker, you need to make sure that your chosen one is also financially capable and willing to pay in the event that you can’t. 2) Ask nicely without being too pushy. Getting a loan can be risky, especially for your situation. There is a possibility that you may not be able to finish your contract due to unforeseen events, thereby affecting your cashflow; hence the need for a co-maker. The key here is to ask nicely and properly. Bring the topic as casually as you can, starting with your intention to get a loan and then the need for a co-maker. Explain the importance of having a co-maker as well. Avoid being pushy or forcing someone to say to be a co-maker. Don’t bring up the concept of “utang na loob” just to make someone say yes to be your co-maker since you are leaving them with no choice. 3) Respect your potential co-maker’s finances. Everybody needs money. Everybody has their own set of financial issues as well. In asking someone to be your co-maker, make sure you consider his or her financial standing. Don’t expect your friend to say yes to you if that friend is struggling with debt too. Therefore, consider your potential co-maker’s financial standing. If s/he doesn’t owe anything to anyone, then s/he could say yes and help you secure your loan. 4) Provide assurance to build trust. One of the main reasons why people don’t want to be a co-maker is because of the risk that comes with it. Can you imagine being responsible to pay for a loan you didn’t enjoy? This is why it is important to provide assurance to “guarantee” your potential co-maker that you will do everything you can to pay off the loan. If you can, strike a deal that will assure him/her that he will not pay a single cent. This could help him/her say yes to you. Tip: Seek for a lower amount of loan to make it easier for you to pay the loan. 5) Explain the parameters, terms, and conditions of the loan. One of the reasons why people don’t want to be a co-maker is because they don’t understand what it means to be one. This is why instead of forcing, explain what the loan is about. Discuss the terms and conditions of the loan, including the role of a co-maker. It is imperative that you explain everything and make the person understand what being a co-maker is all about. It’s okay if your potential co-maker said no to you. It’s never okay to force, don’t you think? Have you invested in a family car? If yes, what are your major considerations and the things you did before buying your car a family (and share them in the comments section below)? If not, then this one is for you. In a previous post, we shared six things to remember before you buy a car for your family. This is because aside from earning more by working as an OFW, buying a car is one of the major purchases you will make as a product of your hard work and sacrifices to provide a better life and brighter future for your family. This is in terms of buying the right car to finding the best lender to help you finance your purchase. In fact, not doing enough research in general is the worst mistake you could do when making purchases. Keep in mind that there are tons of vehicles available that comes in different sizes and features. Know what you want for your family car and then maximize the World Wide Web to find out the type of car that will suit your needs. Take some time to read and watch car reviews to help you decide. Apart from the car itself, you also have to do enough research about lenders, especially if you plan to take out a car loan. There are tons of lenders out there that offers competitive rates and features to entice buyers like you to obtain a loan from there. Shop around and compare before you say yes. Research is imperative when buying a car. This is why it is strongly advisable to determine your needs and identify the features you want for your car to maximize its use while staying on budget. You also need to decide whether to purchase a brand-new car or previously-owned vehicle. Don’t join the bandwagon. Just because Toyota Fortuner is selling like hotcakes, it doesn’t mean you should buy one. Look around and identify what your family needs to help you decide. Lenders may give special treatment to OFWs, but this doesn’t mean you should rely on them at all times, especially for major purchases like car. Aside from the features that will suit your family’s needs, you also need to set a budget for this type of purchase. Set the amount and make sure you’ll stick to it. Keep in mind that working overseas is not forever. Think long-term and make sure you have sufficient funds to cover for the monthly amortization even if you are no longer working abroad. It’s not enough that you identified the features you want for your family car. You also need to consider the car’s mileage and cost of repair (if you’re buying a second-hand car) and maintenance costs. Parking space is another important consideration you need to remember, so make sure your car has a space in your home (and not in the streets). If you’ll avail of financing, take note of the interest rate and term of loan to help you adjust your budget. In other words, take a holistic approach instead on focusing on one aspect only. Would you believe that buying the perfect car is also about perfect timing? This is why it is important to shop around and explore your options first instead of buying a car according to impulse. Car is a major purchase and requires proper planning. Otherwise, you might find yourself buried in debt and your car taken away from you because you are unable to pay on time – and you don’t want that to happen. Lenders, especially loan sharks can be sneaky. They could put catchy terms in the front page and unfavorable conditions at the back against you. Before you sign any document, make sure to read everything, no matter how small the print is. Don’t be afraid to ask questions and clarify terms unclear to you. You need to protect your interest too and you can do so by reading the terms of the contract. It’s a family car, which means it is intended for everyone. In buying a car, make sure you consult your family and ask them about their opinion as well. Don’t buy a car with manual transmission if your spouse cannot drive one. Buying a sedan is also not advisable if you have six kids since everyone won’t fit in. At the end of the day, the car is for your family. Keep them in mind and what will be more comfortable to everyone else to make the most out of your purchase. It’s never easy to work abroad. Apart from the competition where thousands of workers are vying for the same position, you are faced with the gruesome fact that you have to pay for fees before you can actually be deployed abroad. What exactly are these fees that you need to pay? This is a fee collected by recruitment agencies from deployed OFWs. Placement fee is necessary for recruitment agencies since the nature of their business is risky. The fee paid to them is placed in a fund, which can be used in case something happens to the deployed worker. More importantly, recruitment agencies are responsible for extending help to OFWs they deployed abroad. Important Tip: Placement fee will only be paid once you signed your employment contract bearing the job you applied for. Make sure to ask (or demand!) for an Official Receipt (OR). It should state the date of payment and the purpose of such payment. There are many jobs abroad that require special skills. If you want to increase your chances of getting hired, then consider getting necessary training with corresponding certificate to prove completion. You might be worried about the fees. 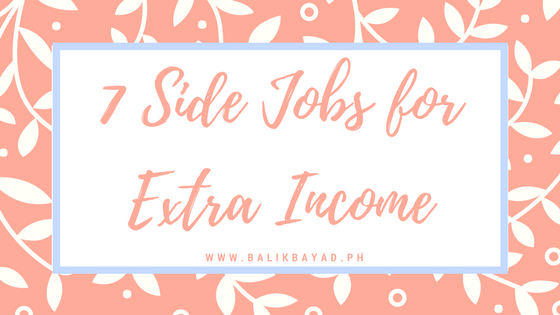 Some trainings require you to pay a fee upfront, but if you want to save on this, TESDA offers trainings that are either free or for minimal amount only. Take advantage of those and who knows, you can use it to your advantage. Apart from placement fee, you might also be asked to pay for processing fees. How are processing fees different from placement fee? Processing fee is the cost your employer spent for your deployment abroad. This includes yearly contribution to social services like Philhealth and PAG-IBIG, visa fee, airfare, compulsory insurance, OWWA membership, PDOS, and POEA processing fee among others. Nonetheless, you are not required to pay for all of these costs. You are only mandated to pay for Philhealth and PAG-IBIG, although PAG-IBIG is no longer mandatory. The rest of the costs must be paid by your employer. Documents are crucial when applying for a job overseas. You need to prove that you are not convicted on any criminal or civil liability and that your records are clear. There are recruitment agencies that offer documentation services, which is convenient for you. The fees may be higher than just getting your own documents. If you wish to avail, make sure to ask for an official receipt reflecting the costs for each document. The fees may vary, but the bottom line is you need to be prepared for these fees if you plan to work overseas. This way, you don’t have to borrow money to cover these fees because let’s face it, not all lenders are willing to lend money for this purpose. While there is no guarantee, one of the things that could help you increase your savings and attain financial freedom is by starting your own business. Even if you are working abroad, putting up your own business can give you additional income, which leads to more buying power and higher savings (if you used money right). Once upon a time, computer shops are everywhere. Even if your family doesn’t own a laptop, they can go to a computer shop, log in to Skype or Yahoo! Messenger and they can already talk to you even if you are miles away. Sadly, the rise of smartphones and Facebook, coupled with more affordable laptop prices made it easily accessible for your family to reach you – at no cost. If you believe this business can be profitable, then make sure you don’t invest in too many computer units. Introduce other services as well such as computer and mobile repair or sell computer-related items. Did you know that there was a drop of retail travel agencies since the Internet started to boom? That’s not all. Many travelers these days are budget-conscious; hence the rise of online travel booking websites. Travelers now have access to hotels, airfare, and transportation among others – without paying for agency fee. Why not offer your services for that specific area? Be their travel guide or start your own blog showcasing the country where you are working. Everyone needs clothes and shoes. With countless of people selling clothes online and even outside the World Wide Web, the competition might make it harder for you to survive in this business. Worse, big brands are using various tactics that will make it difficult for small retailers to withstand. Still, this doesn’t mean you cannot capitalize on the fashion market. The key here is to offer something that other sellers cannot compete with. For instance, you can get clothing items available in the country where you’re working and sell it in the Philippines where the items or brands are not visible. Make sure you start with few items to help you test the market. If you have enough funds and the response is good, try exclusive distributorship of the brand. Similar to clothes, everyone needs to food to eat. Just like clothes, opening a restaurant or getting in the food business in general can be challenging – and risky. As of this writing, food parks are in and becoming popular, thereby giving small and starting entrepreneurs a chance to introduce their food business. The question is how long? You may opt to put up your own restaurant, but this can be risky. If you insist on having your own food business, consider various factors such as the location, rent of the place, foot traffic, and more importantly the food. You might want to start small first like a sandwich shop or carinderia with food delivery in offices. You might even pick up a dish where you’re working and tweak it to give a Filipino taste. The key here is to give something new to the people’s palate and who knows, it could be your road to success. How will you find the right business for you? 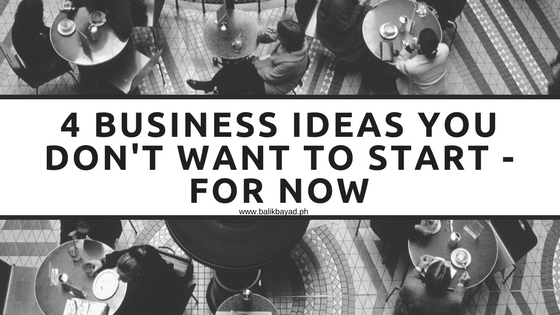 Don’t look at the trends alone and consider business ideas that will stand and survive the test of time. This way, you are sure to survive. You know how to prepare your monthly budget. Apparently, that is just one slice of the entire “Achieving Your Financial Freedom” pie. There are several things you need to do such as investing your money and setting up emergency or retirement funds. Nonetheless, it all starts with proper budgeting. 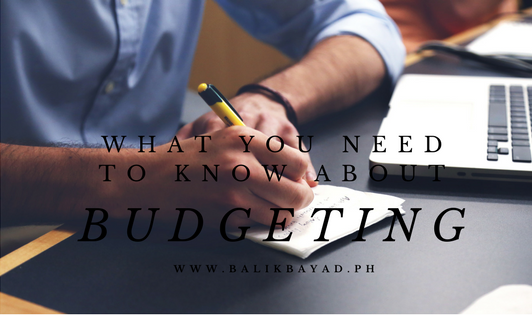 You might ask: how can you strictly stick to your budget when there are such things called “budget killers?” Assuming these budget killers are inevitable, can you do something to make sure that you won’t go overboard? 1) Special Events – This is the number budget killer. Every year, someone in the family will celebrate birthdays, where you are required to send something. Aside from that, there are anniversary, graduation, fiesta, Christmas, and other special occasions where you have to send money to accommodate the expenses. There is also an unwritten rule to send something expensive, especially if you are unable to go home on the specified dates. 3) Repairs and Maintenance – Roof leaking, car not starting, busted pipes, and the list goes on. This type of expense may not just be unexpected, but also recurring, especially if you didn’t address the issue immediately and install solutions permanently. 4) Utility Expense – Electricity, water, cable TV, phone, and mobile Internet – these are just some of the many expenses you need to pay every month. Even if these expenses are to be paid monthly, the amount varies since surely, your family doesn’t consume them in a fixed basis. Be wise with your spending. You might be tempted to splurge on items you can’t buy at home. While this may not hurt you financially – yet – there will always be a possibility that you will need those funds for more important things. The key is to be wise with your spending. Buy the basics and save us much as you can before it’s too late. It’s okay to tweak your budget. Don’t put budget in a negative light. The purpose of budget is to guide you with your spending, so you can maximize your monthly income. It shouldn’t restrict you to the point of deprivation. Therefore, always leave room for adjustments. Add a few more dollars for each expense instead of declaring the exact amount. Also, review your budget. You might have expenses before that you weren’t able to include when you were first making your budget, so include that. Make it a habit to anticipate expenses. This will work for special events. Make sure to plan ahead if you intend to give something on special occasions to prevent you from resorting to loans. Think of the future. You will never know what will happen in the future. Still, make sure to anticipate. Set up an emergency fund, save as much as you can, and avoid unnecessary purchases. There will always be budget killers and sudden expenses, so make sure you leave room for that in your budget. More importantly, save, save, and save. It will go a long way. Earning in a different currency may be empowering and rewarding for you. After all, you are earning more than what you can earn back home, which means you can achieve financial freedom faster than staying here. Despite earning in dollars or euros, you realize that you are still living from paycheck to paycheck and you barely have nothing left for yourself. Perhaps, it’s time to take side jobs to help you earn something extra. 1) Babysitting. There will always be a need to hire babysitters, wherever you are in the world. If your schedule permits, take advantage of this demand and offer your services as a babysitter. Make sure to charge on a per-hour basis as well. 2) Selling, whether online or offline. The possibilities are endless when it comes to selling. You can sell buy and sell small items and sell it to fellow Filipinos. You can also maximize the Internet and venture into online selling. To make the most out of this business, you can choose to buy items in the country where you’re working then sell it in the Philippines. The good thing about this is that there are many platforms that allows you to sell your items for additional income. 3) Commissioned works. Are you good at lettering or calligraphy? What about photography or painting? Do you enjoy making crafts? You can sell your works or have someone commission you to do something for extra income. Make sure to promote your works on your social media accounts, so someone will see it. 4) Food business. Do you love to cook? How about bake? Surely, everyone will enjoy food and eating, so don’t be afraid to offer that service. You can cook and pack viands and snacks, and offer to your co-workers. If you are into baking, you can accept on a per-order basis as well. Who knows, once your food business gets bigger, you can start making party packages or be commissioned to cook during Filipino gatherings. 5) Tutoring. If you prefer being around older kids, then tutoring can be a good side job for you. Don’t just limit yourself with academics. If you are good at something, say an instrument like guitar or piano, use that to your advantage and offer lessons for a fee. It will only take one to two hours, but the return can be rewarding. 6) Money lending. This is where you lend someone a certain amount of cash with interest. Although this could give you a legitimate extra income, you have to be careful on who to lend money to. There are people who would take advantage of this service and nowhere to be found when due date comes. Nonetheless, start small and don’t use a big chunk of your savings for this type of business. 7) Blogging. All you need is a laptop, Internet connection, a good camera, and your thoughts put into words. Still, don’t take this for granted. The World Wide Web is already full of bloggers, so make sure you stand out. Start with a topic close to you, say OFW Life. Offer tips and survival tricks to new OFWs that could help them adjust to life overseas. You can also feature places, tourist spots, where to eat, and the like. Don’t forget to update your blog regularly because once it generates enough traffic, this could give you additional cash. More importantly, advertise your business or service. Ask help from the Filipino community and make sure you are visible online. This way, potential clients can see what you have to offer and who knows, this could lead to something bigger. 1) What is an OFW Loan? An OFW Loan is a type of loan facility specifically designed to meet the financial needs of OFWs. It can range from business to personal loans, but the common denominator is that it is intended for the benefit of OFWs. 2) Who is qualified to apply for OFW Loan? Take note that some lenders require minimum monthly salary, so make sure you inquire about it first before submitting your loan application. 3) What are the requirements I need to submit when applying for an OFW Loan? The loan amount depends on the lender. Many lenders set a minimum amount of P1,000 and a maximum amount of as much as one million. Nonetheless, this doesn’t mean you can get a maximum amount every time you apply for a loan. Lenders still look at your credit history and capacity to pay, which they will use as a basis for your credit amount. 5) How long can I pay for the loan? That will also depend on your agreement with the lender. You can borrow money and pay it after 30 days. On the other hand, you are allowed to pay the loan for up to 12 months. 6) I’m about to leave the country. Can I still apply for an OFW Loan? Of course! In fact, lenders prefer that since you are still here in the Philippines and capable of physically signing the loan documents. A small request, though. If you can, please apply at least 15 days before your scheduled departure to make sure that the application process will proceed smoothly and you can get your money before you leave. 7) Can I apply for a loan while I’m working overseas? This will depend on the lender. Here in Balikbayad, we require you to be physically present to be able to sign the documents. Other lenders accept Special Power of Attorney where you will assign any of your family member as your attorney-in-fact. If possible, you can execute the document before you leave and have it notarized, otherwise, the SPA must be consularized. Read more about Special Power of Attorney here. 8) How long is the application process? Lenders understand the urgency of your cash needs. That is why many lenders like us are committed to processing your loan application within one banking day. On the other hand, some lenders, especially commercial banks, look into your credit history first before they can extend credit. This will take days to a week or two, depending on the lender. 9) What if I don’t have a property under my name. Can I still apply for a loan? The answer is yes. There is a facility called non-collateral loan, which allows you to borrow money even without property under your name. This could mean higher interest rate as a form of guarantee. Another option would be applying with a co-borrower. A co-borrower is someone who will guarantee your loan and will be contacted by the bank in case you are unable to pay your loan. 10) What should I do to guarantee loan approval? The information you provided in your loan application must be complete and correct. No history of past due debts, negative findings, and other money-related court cases. Borrow money that is within your salary or capacity to pay. You must provide all documents needed to prove your capacity to pay the loan. Establish your beneficiaries of the loan. 11) What are the modes of payment? You can pay your loan via post-dated check or direct deposit to account. If you will apply in banks, most of them will recommend (if not impose) automatic debit arrangement since it is easier and more convenient. No reminders will be sent since the system automatically deducts the amount from your account (so make sure you have sufficient funds every month). 12) Where can I use the proceeds of my OFW Loan? Ideally, it will depend on you and your needs. You can use the proceeds of your loan to start a small business, finance immediate and emergency needs, renovate your home, or even use it as a downpayment for a major purchase. Nonetheless, you have to be clear on your purpose. Some lenders don’t allow the funds to be used to pay for placement fee and other fees related to applying for a job abroad. Ask your lender first to be sure. Got more questions? Let us know by leaving a comment below. We always emphasize the importance of saving and preparing for the future. After all, you can never be an OFW forever, which is why it is important to strike while the iron is hot and make the most out of your stay abroad, especially when it comes to boosting your savings. Before you increase your savings and set aside a portion of your salary for investment, you need to start with the most basic: budgeting. Budgeting is a process of allocating funds on specific expenses. This helps you get the most out of your money because you were able to specify how much goes where. This will help you make the most out of your money and ensure that a portion of your monthly income will also go to savings, which might come in handy in the future. Sit tight and find out the how, what, and why of budgeting for better savings. Step 1: Know your numbers. Before you start budgeting, you need to know how much you are earning. In fact, this is the first thing you need to do before you create a budget plan. What exactly do we mean by numbers? This should include your net monthly income, expenses, and any existing debts. If you are earning something extra, then make sure you include it too. Be honest to yourself when it comes to numbers then move on to the next step. Step 2: List and then create your budget plan. Now that you know where you stand in the money scale, the next thing you should do is to list all of your expenses every month – and make sure you use accurate descriptions for them. Fixed or Non-Negotiable – These are expenses that don’t change every month such as rent, transportation costs (in case you ride the same bus everyday), and amortization. Flexible – This type of expense vary every month such as food, utilities, and amount of remittance you send back home. Be realistic as possible and allocate the portion of your salary for corresponding expense to help you check how much is left. This will be your guide as you go through your day. You might ask, “how can I make sure that this budget plan will be properly implemented?” Don’t worry. The next step is the answer. Step 3: Determine your budget strategy. Percentage system – This is where you use percentage as a guide. For instance, you can try 60-20-10-10 wherein you break down your salary according to that allocation. Envelope system – The concept is the same with percentage system, but this time, you use envelopes to set aside a portion of your salary for each expense. One envelope is assigned for each expense to make tracking easier. Pen and paper – This is the old-school-but-still-effective way of budgeting. To make it easier for you to budget, you can use columnar notebook and list down how much money you have at the start of the month versus the expenses for every month. Budgeting tools – If you want flexibility in tracking your budget, you can use budgeting tools like mobile apps or even Microsoft Excel to help you create a budget plan. The good thing about going digital is that it is easier for you to adjust your monthly budget, which leads you to the next step. Step 4: Keep it flexible. We understand that you want to stick to your budget as strictly as possible. In fact, that is the whole essence of budgeting because it makes it easier and more possible for you to increase your savings. Still, leave room for some flexibility; hence the column for flexible expenses. Someone back home will celebrate birthday or you will need to send money because of an emergency, which is why it is important that your budget can accommodate those sudden expenses. Step 5: Stay on track and keep it updated. It’s not enough that you create a budget plan. It’s just one part of the entire budgeting process. The key here is how you stick to it by keeping your budget plan updated. Set aside a certain time of the day, say few minutes before you go to bed, and list down everything you earned and spent. Make sure you include ALL, no matter how small or big the amount is. This way, you can easily track expenses you can forego and there is a lower possibility that you might forget something, which could affect the credibility of your budget plan. Budgeting can be tedious in the beginning, but the return is worth it. Take time to sit down and assess your budget. This will make it easier for you to determine whether you can accommodate a loan in case you need to get one. Travel Loan: Should You Get One to, uhhh, Travel? We all have our own personal needs. For every need, there is a type of loan that specifically addressed that need. One of them is the need to travel; hence the travel loan. Travelling is a luxury. Aside from being able to go to a different place and experience different things (including food), you spend certain number of your days not working. Nonetheless, it’s a time well-spent with the family and you are only making the most out of your stay here in the Philippines. Here’s the thing: can your budget allow you to travel? Even if you can, will you still have sufficient funds by the time you go back abroad? This leads you to the next question: should you apply for a travel loan in order to travel? This is the first factor you need to look into before you apply for a loan. Travel loan can be convenient because it allows you to increase your buying power when going somewhere. On the other hand, do you have sufficient funds and steady income to pay for the loan? If not, perhaps it is best to postpone the trip instead and save up for it later. Let’s say you really want to travel with your family even if it’s only here in the Philippines. Fine. Instead of getting a loan, do you have an existing credit card you can use to finance your travel expenses? Travel loan may have lower interest rate compared to credit cards, but keep in mind that credit card companies give out perks and benefits to its clients. Check out their partner establishments for hotels, restaurants, and other recreational facilities and take advantage of them. Apart from your credit card, if any, you also have to look into your current financial standing. This means you need to check and evaluate how much you are earning and spending every month. You also need to take note of any existing loans and employment status in relation to the current situation of the country where you are working to make sure you can pay off your travel loan. This is why it is important to create a budget. It will make it easier for you to check how much money is going to specific expenses and help you decide whether you can still accommodate another loan. Assuming that your salary allows you to get a travel loan on your next trip back to the Philippines. This doesn’t mean you will automatically apply for a loan. Check out the interest rate and consider the lender that offers low rates. Clarify whether the loan is secured or unsecured, since unsecured ones may have higher interest rate, although it will protect your assets against possible foreclosure. Aside from this, make sure to ask about repayment terms. As a rule, travel loan must be repaid in less than a year, so make sure you negotiate the terms well. Where do you plan to go with your family? Many OFWs opt to travel in the Philippines with their families to cure homesickness while there are still others who prefer bringing their family overseas. Regardless of where you plan to go, it is a must to anticipate your expenses to help you determine whether getting a travel loan is necessary. If you plan to go overseas, how much is the air fare, hotel accommodation, food, exchange rate, and transportation expenses when going around the city. If you wish to stay here, gauge how much are the transportation costs, hotel accommodation, and food among others. Make sure you have enough cash to cover for these expenses. The amount you will borrow should cover only the essential costs. There will be an interest on top of the amount you will borrow. Despite the availability and accessibility of travel loan, make sure to travel within your means. After all, you don’t want to waste few years paying for a one-week vacation, do you?